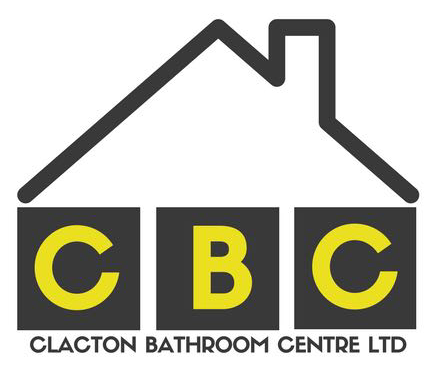 At Clacton Bathroom Centre we can design a unique and individual look for your bedroom and home office, from leading brands such as Crown and Embrace - offering style and space for all your clothes and personal items. We sell a range of beautiful bedroom and office furniture, from wardrobes, dressing tables and bedside cabinets to desks and chairs, along with all the accessories you could need to complete the look, such as mirrors, shelving and even shoe racks! Crown Imperial has a bedroom range that is completely stunning. With 15 different door colours, styles and finishes available, your choices are endless when picking your perfect furniture. Each range is unique, yet stylish and Crown offer many storage solutions that you may require. Whether you prefer the traditional cream and white shades of solid oak doors or the modern colours offered in high gloss finish, we can help you create your ideal bedroom. The furniture we sell includes wardrobes, chests of drawers and even dressing tables. To complement your new furniture, we sell a variety of handles, in both modern and antique styles. We have many of the Crown doors on display in our showroom, so why not pop in and select your favourite style! Embrace have a beautiful collection of bedroom furniture that we sell at Clacton Bathroom Centre. They have a massive 20 different ranges available, each different and unique in style and finish. These ranges are timeless, due to the varying shades of white, cream, wood effect and oak. Embrace also sell sliding wardrobe doors for that modern touch in your bedroom and have 10 ranges you can pick from with this design!. We sell furniture from as large as walk in wardrobes, to as small as a bedside cabinet. With the storage inside you can create your own space, whether you prefer multiple hanging rails, or an array of shelves. Embrace offer many finishing touches for your bedroom furniture, including mirrors for your wardrobe doors, pull-out shoe racks and of course handles. Clacton Bathroom Centre provide stylish and modern office spaces uniquely designed by Crown Lifespace, to meet your exacting needs. All our functional, yet comfortable workspaces incorporate storage solutions making optimum use of the available space, whilst the design is tailored to blend in naturally with the rest of your room, whether that be your bedroom or lounge. From functional yet stylish desks and concealed storage solutions to versatile shelving available in a choice of colours, wood or glass finishes, we are sure to have an office solution to suit your needs, that will complement your style of home, maximising the space available and helping you to be efficient as possible. If you would like to speak to someone about creating office space in your home please give our team a call on 01255 436604.